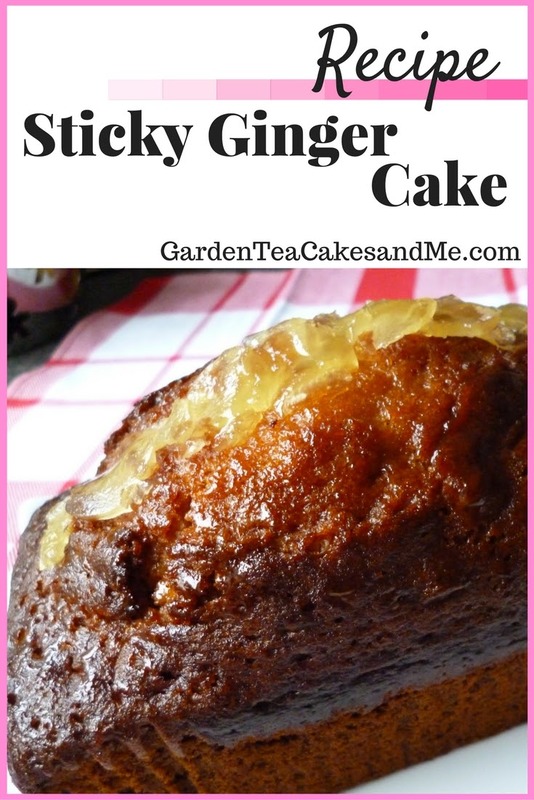 This recipe for Sticky Ginger Cake was easy to follow and most successful. I have received a request for the last few years to bake a Ginger Cake for my uncle's birthday, and this was his lucky year. I relied on family feedback as I am not a lover of ginger myself, and was reliable informed it was a most delicious moist slice of cake with a good balance of gingerness to it. Sift the flour, baking powder and ground ginger into a bowl. Add the oil, sugar, golden syrup and eggs, beat them until you have a smooth batter. I used my K Mix and the K attachment. Add the chopped ginger and mix briefly. Bake in a pre-heated oven for 1 hour to 1 hour 15 minutes. It should be well risen and firm, check with a skewer to see if it comes out clean. The cake will have a very dark colour, this is normal. Before serving brush the top of the cake with the ginger syrup and decorate with sliced ginger. Slice the Sticky Ginger Cake Cake to serve, you should get 8 to 10 slices. The jar of stem ginger in syrup I bought is sufficient to make another cake, just as well it tasted delicious. This recipe was taken the Marks and Spencers recipe book 1 mix, 100 cakes. That looks delicious, I can't resist a recipe for ginger cake!